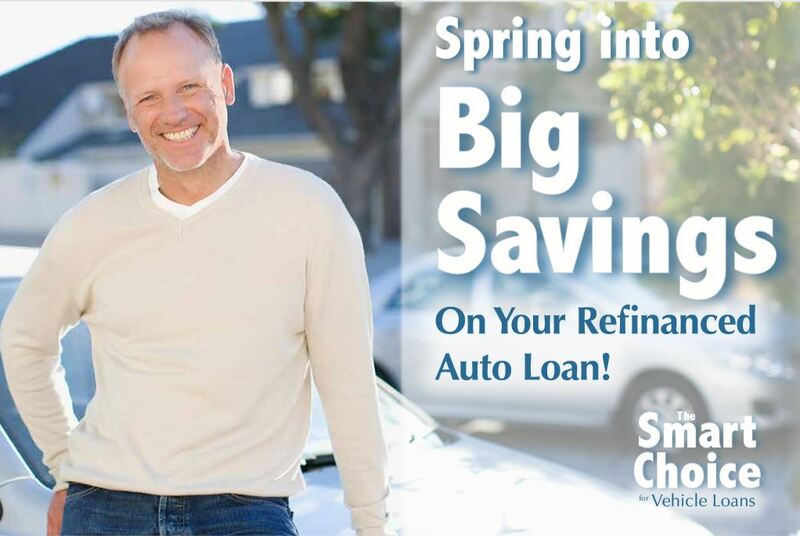 Big Spring Savings on Auto Loan Refinance! Are you paying too much for your car loan? Let Grove City Area Federal Credit Union be your Smart Choice for auto loan refinance! Spring Savings Mean Smart Savings. Spring is a time for cleaning house and starting fresh. As your financial family, we at Grove City Area Federal Credit Union are always looking for fresh, new ways to bring you savings and convenience. Helping you save money on your current auto loan by replacing it with a new, refinanced auto loan—one that’s simple and easy to apply for– is one way we can help you get a fresh start this spring. A new, refinanced loan can offer big returns for minimal investment in time. Simply bring us at Grove City Area FCU your old auto loan—one that you currently have with another financial institution—and let’s compare the rates. Chances are good that we’ll be able to offer you a new, refinanced loan at a new, lower rate. And a lower rate means a lower payment, adding up to monthly savings that add up to big overall savings. Lower Rate, Lower Payment. It’s that Simple. The difference between an old auto loan rate of 6% and new, refinanced rate of 3.5% is huge! Lower rates of interest on borrowed money add up over time because a new, lower rate makes for a new, lower monthly payment. Over time, the monthly savings accumulate, adding up to substantial savings over the remaining life of the loan. So there’s no need to continue overpaying on an old, expensive loan when comparing rates and applying for a new loan costs nothing—and can pay off big. Make the Smart Choice–and Start Saving Now! No need to delay when applying is fast, easy, and simple! Let a new, refinanced loan put you in the driver’s seat of savings, starting now. Which of these easy application options works best for you? Time to Spring into Membership! If you’re not a member, now is the time to start enjoying the benefits membership in Grove City Area Federal Credit Union offers. Serving our members has been our only mission for more than half a century. Unlike a bank, we at GCAFCU are a not-for-profit institution providing a safe place for our members to both save and borrow—at reasonable rates. Isn’t it time you looked into joining?